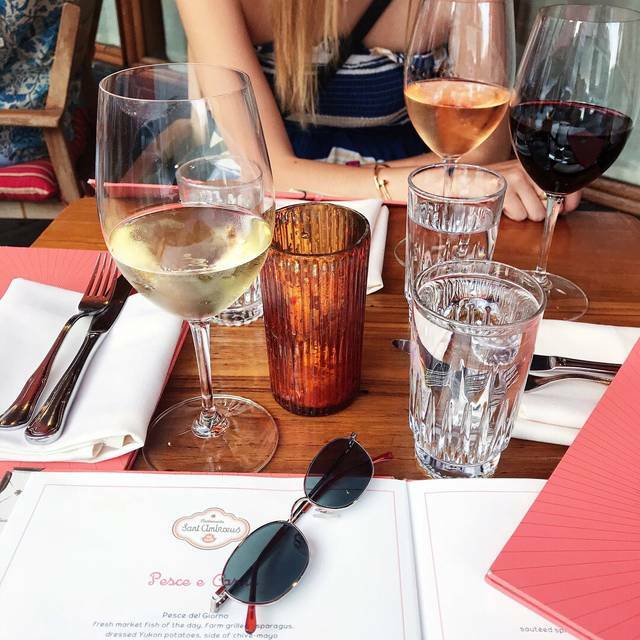 You must make reservations at least 5 minutes in advance of the time at Sant Ambroeus SoHo. 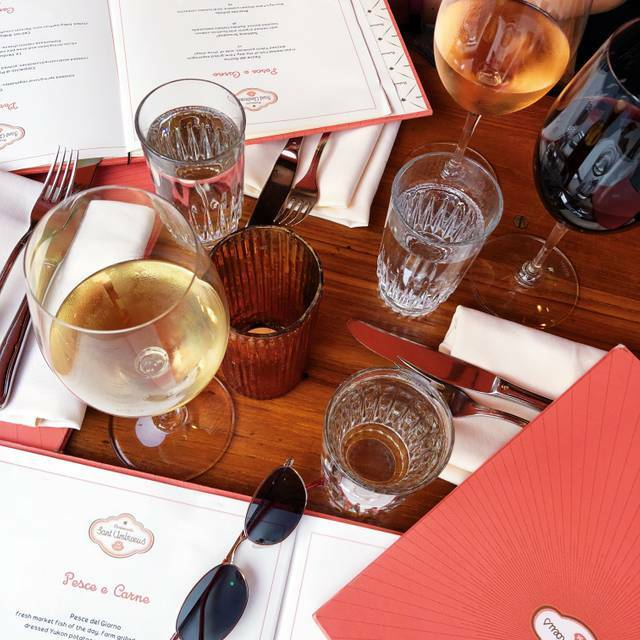 Sant Ambroeus Special Events provides full-service catering for events of all sizes, from casual gatherings in your home to high-profile black-tie galas. Our experienced team is prepared to orchestrate every delicious detail of your event. With over 8,000 square feet of kitchen space, state-of-the-art baking facilities and a professional staff. At Sant Ambroeus SoHo, guests will enjoy a contemporary interpretation of traditional Milanese cuisine, as well as its branded hospitality in a chic and vibrant atmosphere. 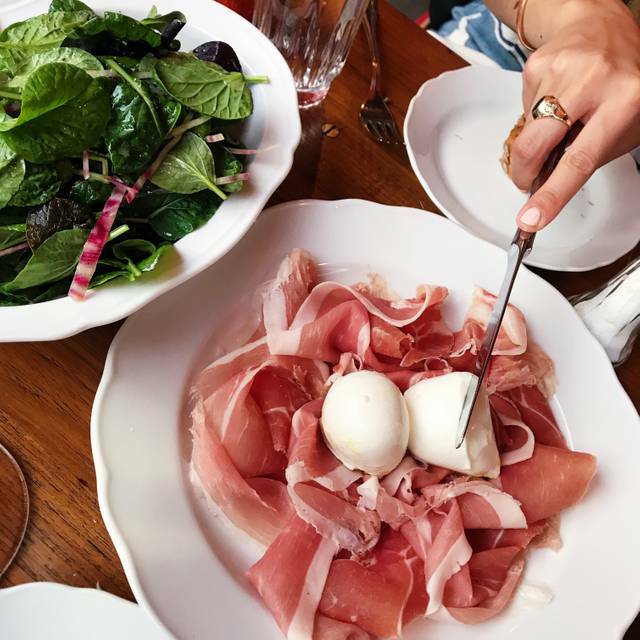 An exquisite menu by Milan native, chef Marco Barbisotti, reflects the brand’s culinary vision and historic origins of northern Italy including its signature vitello tonnato, cotoletta alla milanese, and risotti. 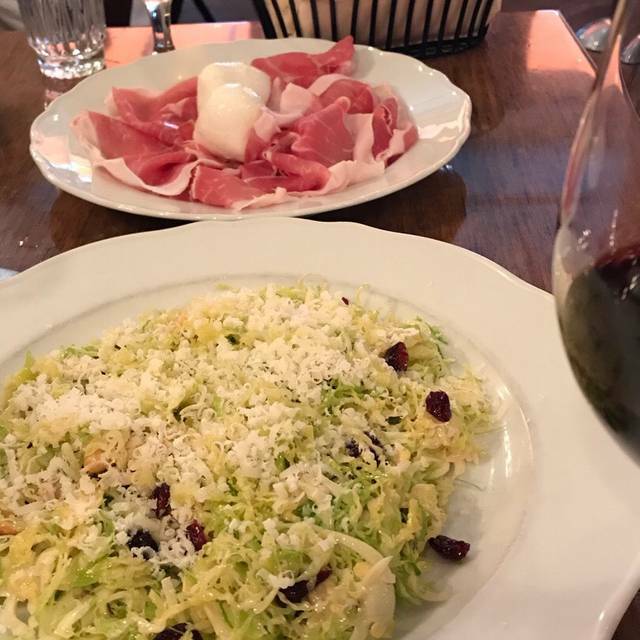 Sant Ambroeus SoHo offers a robust selection of Italian wines, curated by Sant Ambroeus SoHo’s wine director Jacopo Giustiniani. The high-energy espresso and cappuccino bar at Sant Ambroeus SoHo is open all day. From delicate and smooth to rich and bold offerings, coffee lovers will enjoy unique blends of the highest quality coffee to accompany our desserts, including cornetti, gelato, cakes and cookies. Surly waiter. Food was nothing special. Avocado on avocado toast was some gross guacamole spread. The other dish we ordered was eggs with parmesan in which they didn’t even bother to melt cheese. Sometimes I give a restaurant a break if they are slammed but it wasn’t . There were plenty of empty tables. Now I know why. saves you a trip to Europe. Food, atmosphere and guests could be in Rome or Florence. Extremely loud and annoying table of guests next to us. The food and ambiance was great. The waiter we had was slightly rude and not attentive which was much different from my last experience here. I also think the veal Milanese was 100% not worth the money - I've had better veal for half the price. Superb dining experience and our waiter was truly exceptional and so very entertaining. Delicious food and the perfect ambience to catch up. The restaurant has an old-fashioned feel and the service was great. The food is a bit pricey but worth the tag! The SoHo location is by far my favorite in New York. I have visited several times, and each time I enjoy the service and good. The restaurant is a truly enjoyable spot for me and my family. Cool place to relax and have a leisurely breakfast. The coffee is always great and weLlove, love the fresh squeezed OJ! I love the relaxed feel of this place – like a comfortable dining room in a friends home. I definitely would return to try more dishes. The service is always impeccable. Great food and service. Relatively quiet and elegant spot in the middle of SOHO. I arrived at 8:40 and promptly ordered a cappuccino. Despite asking and making eye contact with the server, I did not receive until 9:23. All other tables around me were being served seamlessly. Menus were also not brought until around 9:15. I truly don’t even know who my server was, as nobody really introduced to us as our server. I asked for milk for my coffee 6 times (that is no exaggeration I tallied!) and didn’t get it until we were about to pay the bill. The food was great but unfortunately the experience was definitely not and I will not be back, and I can speak for my guests, too. Service was ok for the prices they charge. Didn’t know a lot about menu. Food was wonderful and ambience great as well! This is my first open table review. 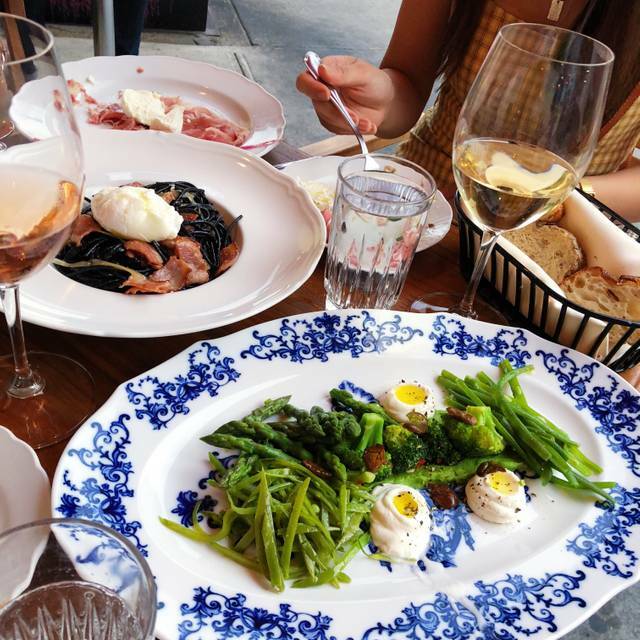 I am not one to write reviews, especially as someone who lives in NYC (I leave that job to the professionals) but the entire experience we had at Sant Ambroeus was exceptional. I booked this during restaurant week to celebrate my mom’s 60th birthday. 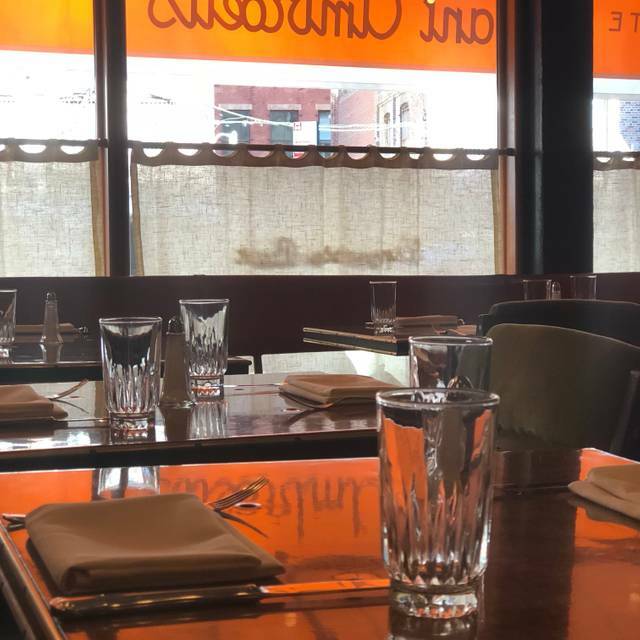 Restaurant week is somewhat notorious for delivering less than stellar hospitality and I wanted to make sure that did not happen so I put a note on our reservation. I noted that we were celebrating my mom’s 60th birthday but that this was a bittersweet celebration as we lost my dad and her sister in less than six months this past year. Everyone, and I mean every single person we encountered during our time in the restaurant treated us so kindly and professionally. I have celiac disease and have to eat gluten free. I had INCREDIBLE gluten free pasta and flourless chocolate cake for dessert. We opted for the affordable wine pairings as well which the manager so kindly removed from our bill as a happy birthday gesture. It was SUCH a wonderful experience and I will be back as soon as I can be. That’s the whole point of restaurant week anyways, right? Average food and high prices. I had the octopus as appetizer which was decent , the Spaghetti al Pomodoro which were extremely bland. 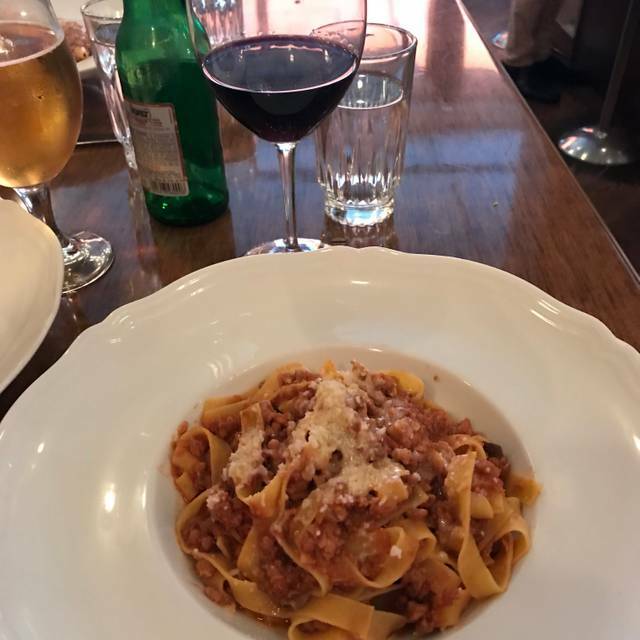 My mate had the Tagliatelle alla Gricia and got stomach sick for a day. Right on Lafayette Street just south of Prince Street this pleasant casual restaurant has a quality attentive staff. The POLPO, POLENTA E SALMORIGLIO was an ample well prepared octopus coddled in polenta. The SRACCETTI DI POLLO AL BALSAMICO CON CIPOLLOTTI E SPINACI SALTATI was a tender chicken tenderloin complemented by the sauteed spinach and accented by the spring onion and balsamic vinegar. The bathrooms were clean. Certainly worth a visit for lunch or dinner. the service here was EXCELLENT. had reservations for 8:30, didn't get seated until 8:45 but the staff was so apologetic and nice about it...checked in w us often while we were waiting to make sure we knew we werent forgotten. the food was good as well, but a little on the heavy side (obviously italian food) - you can eat half and take half to go if it's too much for you. 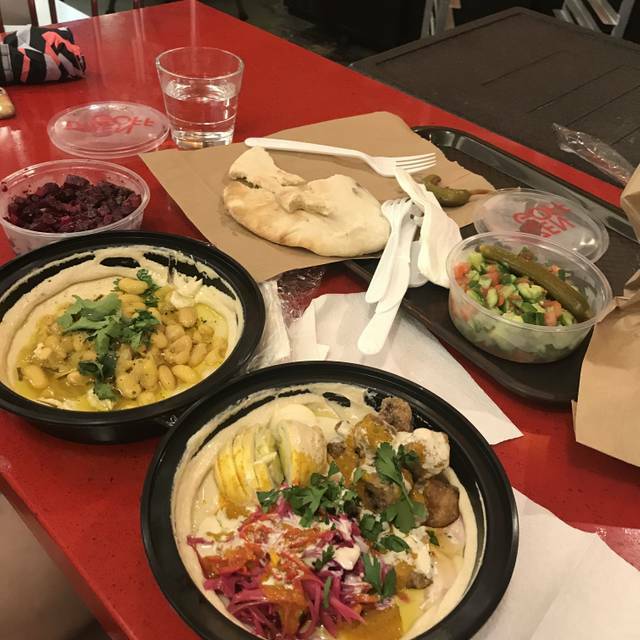 also had healthier-ish and vegeterian options if youre into that! the octopus appetizer was delish, skip the spaghetti.. pumpkin cheesecake and flourless choco cake was good and not too sweet either. def want to come back during the day to see the space in daylight and try their lunch options. Good people and nice serving... But when I ask about menu, my table waiter was not nice. But generally, it was fair. Nice place but for restaurant week the menu could be more creative. Food has no taste, very disappointing. Although I enjoy the atmosphere, I sometimes find the staff rude and inattentive, especially at check-in. I was seated and my guest was told I wasn’t there so she waited at the bar for nearly 30 minutes. The food doesn’t warrant the prices. I won’t be back, especially for business when these things count. I ate breakfast there, had cold cappuccino, tasteless avocado toast and creme fraiche instead of cream cheese with the salmon as promised. Overall, an underwhelming experience and I won't be going back! of the meal, slacked off. I’d still go back, like the place. The food was excellent as always and the service was efficient. 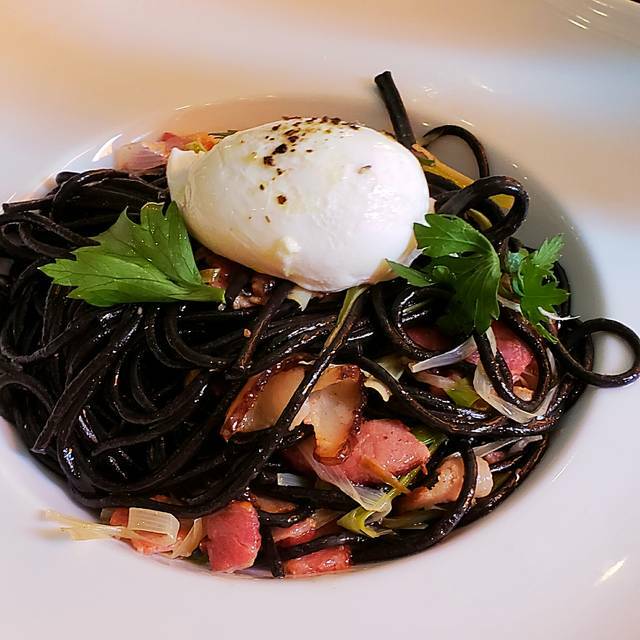 Pastas are great and they also have grass fed steak option which was perfection. Surprisingly great! Hadn't been to one of these in a while. Good food and friendly service in a touristy locale. Horrible waiter didn’t come by once after placing our order. Will not return. Pasta was great! Ambiance romantic. Tiramisu was weird. Covered in so much coco powder it made me cough. Same thing happened to the table next to us when they ordered. Very disappointed to get charged $31 per glass of the house sparkling rose. Outraged, actually!